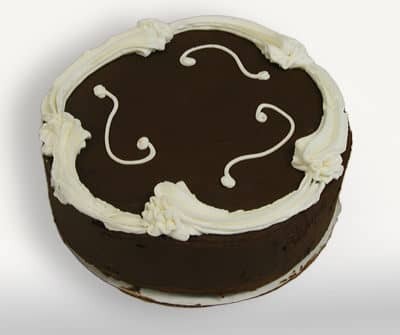 Delightfully moist Gluten Free Vanilla cake is coated in a dairy free rich Chocolate frosting. Finally, a Gluten Free cake that can be enjoyed by anyone! Finally, a Gluten Free cake that can be enjoyed by anyone! A bite of this delightfully moist 8" Vanilla cake, coated in a dairy-free rich Chocolate frosting will send you back to childhood. This is a great alternative to buying two cakes to please everybody. Gluten Free or not, this cake will be a crowd pleaser.